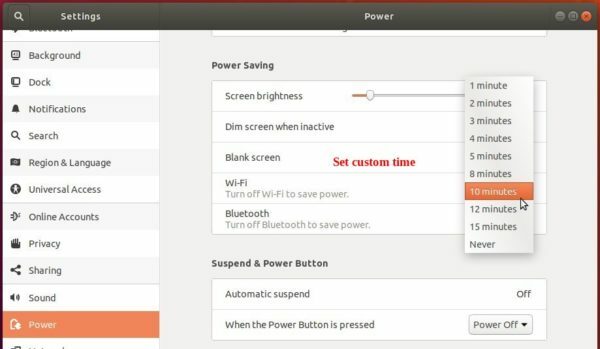 In Ubuntu 18.04 Gnome Shell Power settings, you can choose how long when system is inactive to turn off the screen, though only from 1 minute to 15 minutes and ‘Never’ are available in the drop-down box. 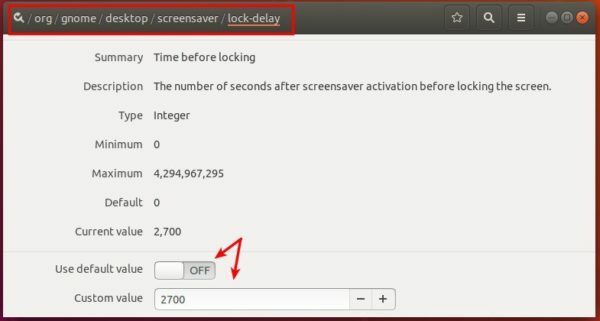 For those who want to increase or set a custom time for “Blank screen” as well as “Lock screen” options in Privacy settings, this tutorial may help. 1. Open Ubuntu Software, search for and install dconf Editor. Note that after applying the changes, the Power and Privacy settings will display incorrectly. 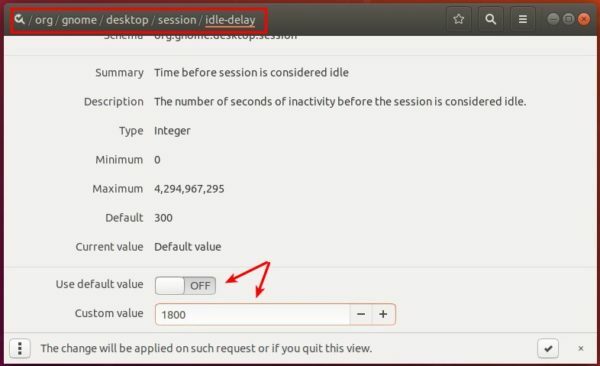 And it will override previous steps if you change the values in the 2 settings page.